Our guest writer today is our sister Marie-Therese from Austria. She is a christian blogger who uses her social media platforms to encourage and uplift Christians daily with their walk. 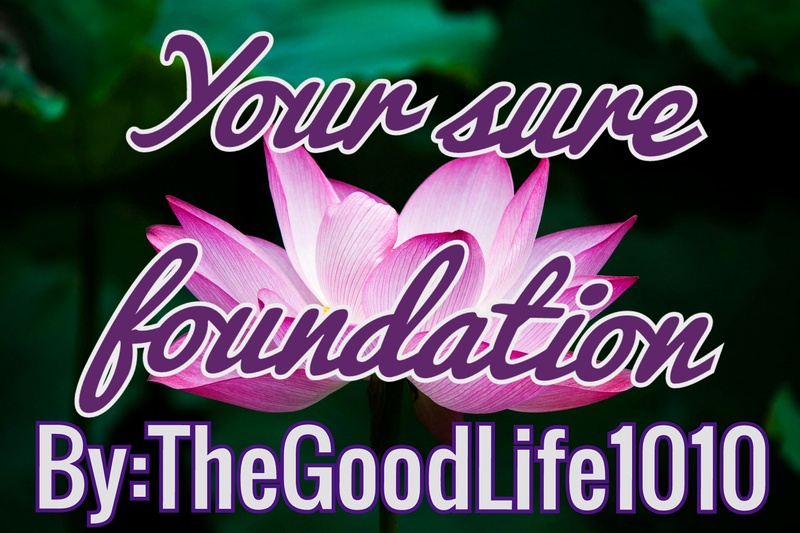 Her blog (TheGoodLife1010), has insightful information on how to build on our relationship with God. In this blogpost, she reminds us of God’s unconditional love towards us and what the true definition of love is. do you even know how deeply loved you are by our Heavenly Father? I’m not just talking about a general knowledge of His love for you, but I mean a deep, personal revelation of His AGAPE* love for you? In this world we use the word “love“ for many things and in many different ways. But when God talks about love you should listen closely because His definition is so different from the world’s. He wants to reveal to you the true meaning of it. Not the twisted, perverted, watered-down version the world has to offer, but the real deal. When God talks about love He does not just describe how He feels towards you, but He reveals to you who He is – for God is love. God not only has love, He is love. He loves you with an everlasting, unfailing love (see Jeremiah 31:3) and He desires for you to grasp the width, length, depth, and height of this love (see Ephesians 3:17-19). He wants you to have a true revelation of His love for you. A revelation is more than just knowing. It is more than just mentally agreeing with something. When you have a revelation of God’s love it penetrates every fiber of your being, it changes the way you think, feel, talk, and act. It becomes a part of who you are. When you have true revelation knowledge the truth has been revealed to you by God Himself through the Holy Spirit and nothing and no one can take that away from you. Once you know, you know. Period. That’s what He desires for all of His children. He wants us to be firmly rooted in His love. When you are rooted and grounded in love you become unshakable. You have a sure foundation. … nothing can separate you from this love (see Romans 8:38-39). … His plans for you are good, and not evil (see Jeremiah 29:11, John 10:10). … He will come through for you every time and give you victory (see Exodus 14:14, 1 Corinthians 15:57). This means even when bad things happen and you are going through a difficult time in your life you know that God is with you and He is for you (see Romans 8:31). With Him on your side you will win (see 2 Corinthians 2:14). You will rest in Him (see Psalm 46:10), knowing that He will never leave you nor forsake you (see Hebrews 13:5) and you will find comfort in His Word that tells you that all things work together for good to those who love God (see Romans 8:28). So not only will a true understanding of His love make you stable and unshakable in your faith, but it will enable you to ward off the attacks of the devil, for he will try to creep in and whisper his lies to you. This is especially true when going through hard times. That’s what he does. He is a liar. Matter of fact the Bible tells us that he is the father of lies and there is no truth in him (see John 8:44). In the past you used to listen to him. You started asking “Why did this happen to me?“ and “What if God will not come through for me this time?“ You allowed fear to rise up on the inside of you causing doubt, worry, and unbelief to overwhelm you. But not this time. This time he won’t succeed. His tactic won’t work. Because now you know. You know who your God is. You know your Father. He loves you. He is faithful, good and He is ever mindful of you. So you know better than to listen to the lies of the enemy. Instead of shrinking back in fear, you look the devil in the face and boldly proclaim: I know who I am and I know whose I am. So get out of my face, devil, in Jesus’ mighty name. Why? Because HIS love makes you bold. It makes you confident that His Word is true and He is true to His Word. The revelation of His unfailing love for you has become your sure foundation, causing you to stand strong in your faith, relying on His promises and not give up until you see the manifestation of everything God has promised you. * God’s kind of love. Unconditional. Selfless. Never-ending.